Tickets for this year’s event are firmly on the dark side of the force at a ridiculous bounty of £75 a piece. Once inside you’re spending £4 on a beer and £10 on dinner and before you know it, heading to watch a film you own on DVD has cost you the same as a galactic trip. While considered event cinema, starting last year with its production of “Back to the Future” Secret Cinema has evolved into an immersive theatrical moviegoing experience in which the audience enters the world of the show. Last year Secret Cinema recreated the town square of Hill Valley for “Back to the Future” this year’s production took over a 10-acre site in south east London where an old newspaper printing factory was turned into locations from the Star Wars franchise, including Mos Eisley spaceport and the Death Star. Upon entering the venue throngs of attendees would intermingle with upwards of 70 actors playing characters from the Star Wars films, performing critical scenes from each of the films. There were overpriced drinks and meals to be had (which should make most cinemagoers feel right at home). Eventually a screening of “The Empire Strikes Back” was shown. UK – The proposed Crossrail 2 project is set to plow its way through central London as early as 2020 forcing the demolition of several historic buildings in the city’s Soho arts distract. 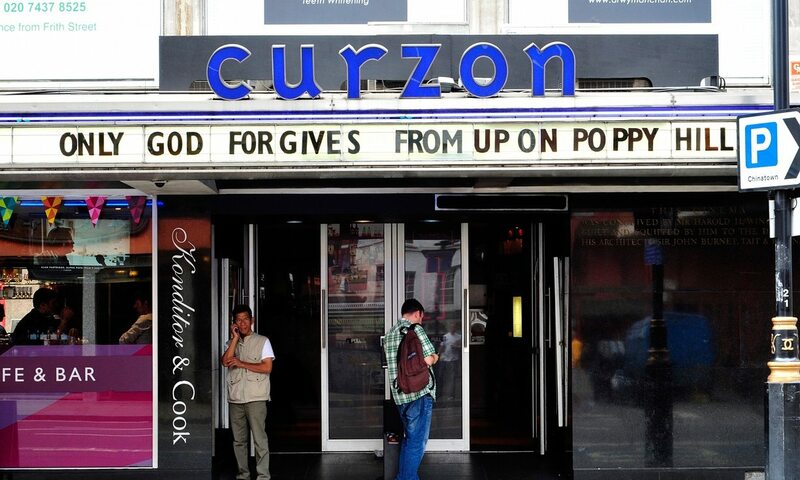 One venue facing the wrecking ball is the Curzon Soho cinema on Shaftesbury Avenue. If Curzon ultimately must part with the theatre it originally leased in 1985, it will only be after much public outcry and a campaign to save the cinema being led by the likes of actors Benedict Cumberbatch and Stephen Fry. Both are participating, if not founding, members of the Save Soho campaign which is working to prevent several historic arts venues in Soho from being turned into rubble to make way for the new north-south train line. “The Curzon Soho is a rare gem in the heart of London, showcasing the best in independent and world cinema…for local and London-wide audiences … and also the international community of film-makers that have made Soho their home for years now”. France – During the first half of 2015 revenue was down but earnings were up at Ymagis, the motion picture technology firm specializing in virtual print fee management, exhibitor and content services. The revenue decrease was expected due to lower sales and income from equipment installation in the exhibitor services sector. Earnings from content services filled in nicely thanks to the acquisition of the Arqiva satellite network for content distribution. The spot of mishap forced the management to pause the film, titled “I Am Eurasian” – screened as part of the Singapore Heritage Short Film Competition – and turn on the lights. 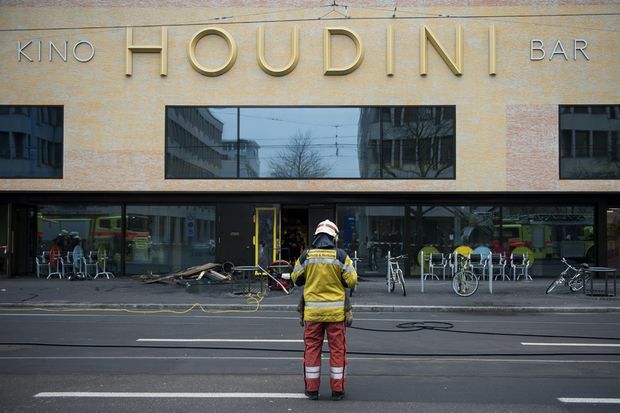 The screening, which started at 8pm, resumed after the two women said they were fine. India – Cinema operator Inox plans on going through a growth spurt, adding 50 screens by the end of the year to its existing 389 screens for a grand total of 440. Inox presently manages 100 cinemas in 54 cities. UK – In the United Kingdom a 33-year old man from Nottinghamshire was arrested, questioned and released on September 18th on suspicion that he was pirating new releases. The action was undertaken by the Federation Against Copyright Theft (FACT) and the Government Agency Intelligence Network (GAIN) after the former was tipped off that someone recorded both “American Ultra” and “Maze Runner: The Scorch Trials” at a local cinema on the day those films were released. The recorded footage was later posted on the Internet. 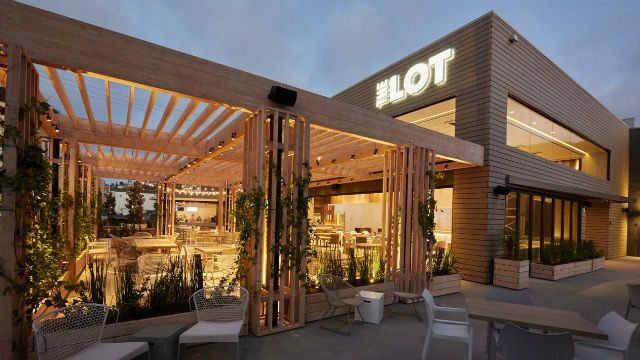 US – La Jolla, the upscale community adjacent to San Deigo, California, is got a new luxury cinema when The Lot opened this past week. The seven screen theatre sports a restaurant, cafe and bar. If you’re wondering what the difference between what the restaurant and cafe will be (join the club), apparently the restaurant will serve up Mediterranean and Mexican-inspired dishes, whereas the cafe is reserved for coffee from local roasters and house made pastries. 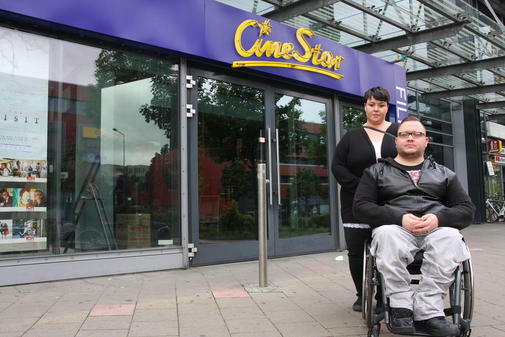 Germany – When Karl Liermann and his companion Franziska Zimdars showed up at the Cinestar in the Lütten Klein section of Rostock, Germany, they were denied entrance. And not because they weren’t wearing a shirt, had no shoes on or had previously caused mischief at the multiplex. In fact, Mr. Liermann had never had any issues when seeing movies at the Cinestar previously. Instead, he was denied entrance this past week because, unfortunately, the auditorium showing the movie he was there to see did not have wheelchair access.